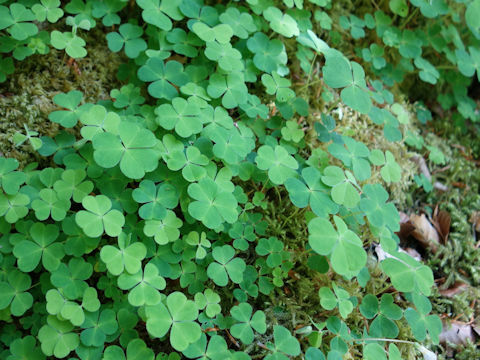 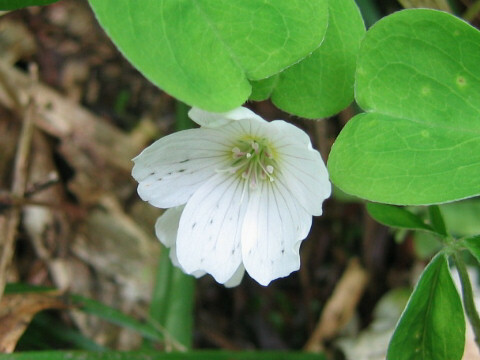 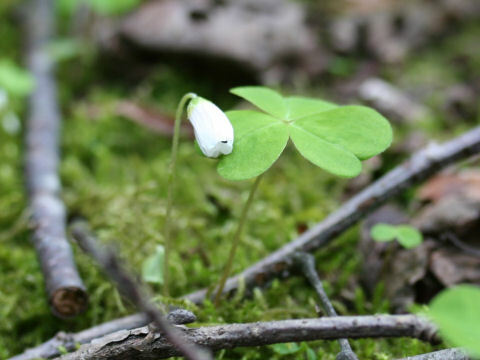 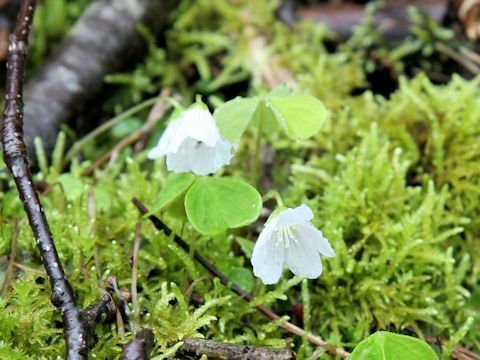 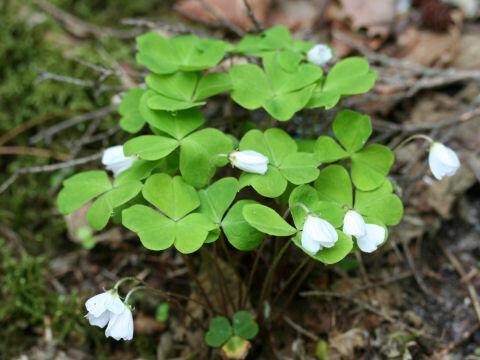 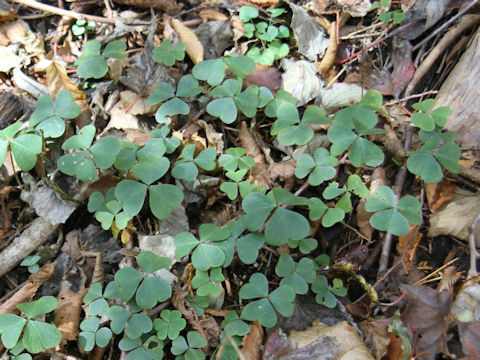 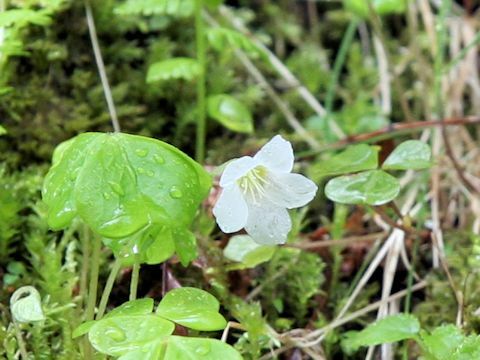 Wood sorrel (Oxalis acetosella) belongs to the Oxalidaceae (the Wood sorrel family). 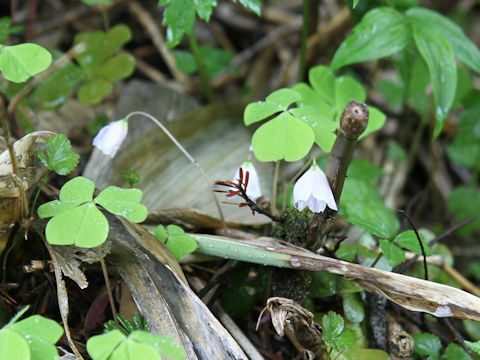 It is a perennial herb that is distributed throughout Japan and also widely to the Northern Hemisphere. 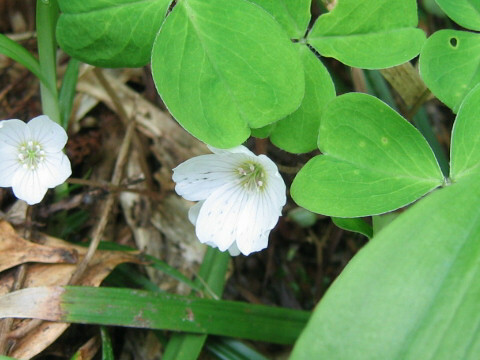 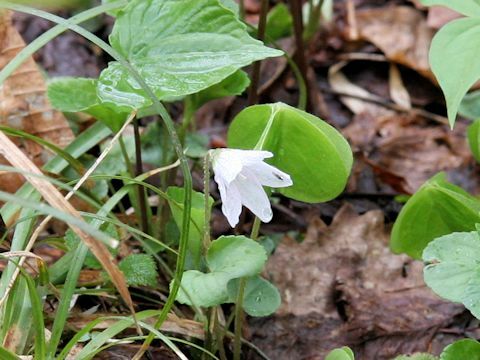 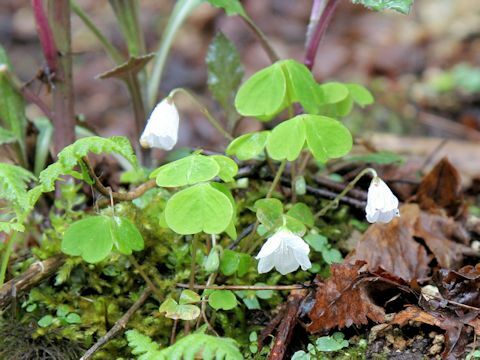 This herb grows in mountain conifer woodlands and can reach 10-15 cm in height. 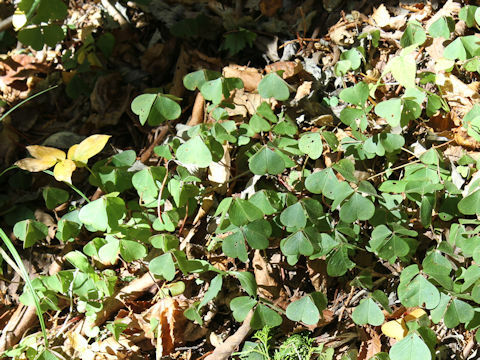 The leaves are three-lobed compound with long petioles. 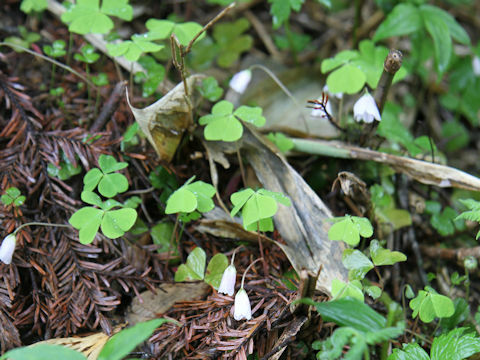 The white or pale rose pink flowers bloom from April to July.